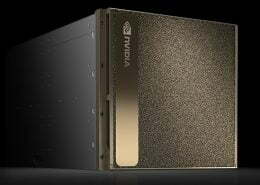 NVIDIA DGX systems are supercomputers for problem solving of machine learning and AI. It is currently the most powerful hardware and tuned software stack that contains the most widely used machine learning frameworks in the form of application containers. Essential instrument of AI research from NVIDIA designed for data centers. The world’s most powerful AI system for the most complex AI challenges with power 2 PetaFLOPS. The first personal supercomputer for machine learning and artificial intelligence designed for your office. Let’s take a look at the NVIDIA DGX in detail, first from hardware point of view. NVIDIA offers an even more powerful version NVIDIA DGX-2H next to DGX-2. The NVIDIA DGX-2H is equipped with two Intel Xeon Platinum 8174, 3.1 GHz (24 cores) processors, tuned to 2.1 PetaFLOPS peak power and a maximum power input of 12kW. Other DGX-2H parameters are the same as DGX-2. All NVIDIA DGX systems feature the latest and fastest accelerators today — NVIDIA Tesla V100 32GB. DGX Station contains four cards, DGX-1 eight cards and DGX-2 even sixteen accelerators! Main benefits of NVIDIA Tesla cards are specialized Tensor cores for accelerating machine learning applications or large memory (32 GB for each card) secured by ECC technology. NVIDIA Tesla cards are also equipped by interface for high bandwidth card communication — NVLink. NVLink can reach speed up to 300 GB/s. 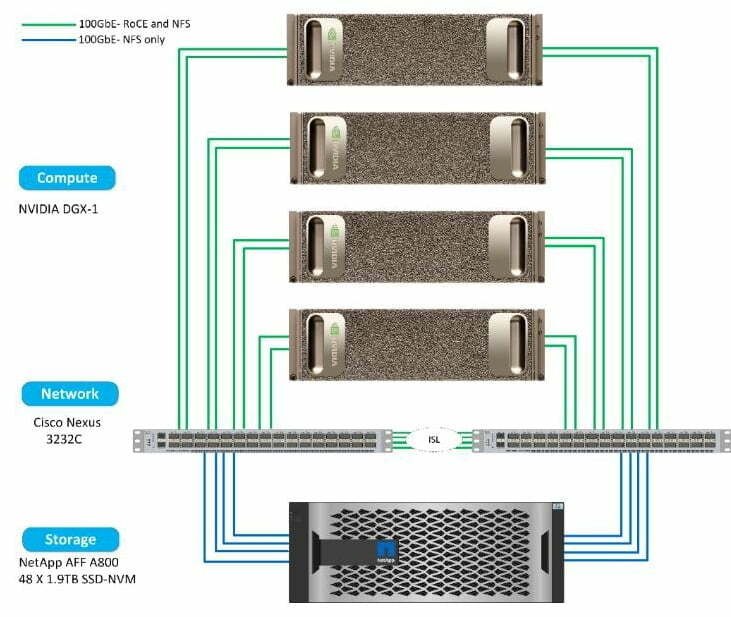 NVIDIA DGX-2 additionally offers super powerful NVSwitch that connects sixteen NVIDIA Tesla V100 with 2.4 TB/s bisectional bandwidth in non-blocking architecture. 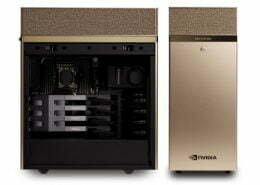 What is more interesting, however, is the already mentioned software package offered by NVIDIA DGX machines. All of these offer pre-installed and performance-tuned environments for machine learning (e.g. Caffe, resp. Caffe 2, Theano, TensorFlow, PyTorch, nebo MXNet) or an intuitive environment for data analysts (NVIDIA Digits). All of this is elegantly packed in Docker Containers. Such a tuned environment provides 30% more power for machine learning applications against applications deployed purely on NVIDIA hardware. The main advantage of the pre-installed environment is the deployment speed, which is in units of hours. The base DGX system image contains Ubuntu operating system, NVIDIA GPU drivers and Docker environment for application containers downloadable from NVIDIA GPU Cloudu (NGC). NVIDIA also supports to run these Docker images in Singularity environment. The strength of the NVIDIA solution is to support the entire system. Hardware support (in case of failure of any of the components) is a matter of course. Software support for the entire environment is critical if something does not work. The customer has hundreds of developers ready to help. Support is part of NVIDIA DGX purchase. It is available for 1, 3 or 5 years and can be further extended after this time. 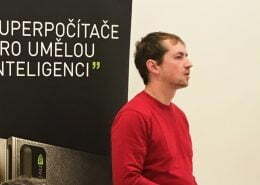 You can also use consultancy with specialists from M Computers in Czech, Slovak and English. Acceleration against traditional CPU computing environment, GPU environments vs. NVIDIA DGX-1. The NVIDIA DGX Station’s personal supercomputer is also unique in its low noise level due to its internal accelerator water cooling. It can also be operated in an office environment. NVIDIA DGX systems represents really huge computing power. When designing an architecture, it is necessary to consider their involvement in the overall IT infrastructure and its tuning to achieve maximum performance. NVIDIA has introduced NVDIA DGX POD Reference Architecture, including networking and storage disc arrays. Here you will find individual design proposals from the key storage vendors that describe the overall infrastructure solution for running ML and AI applications. 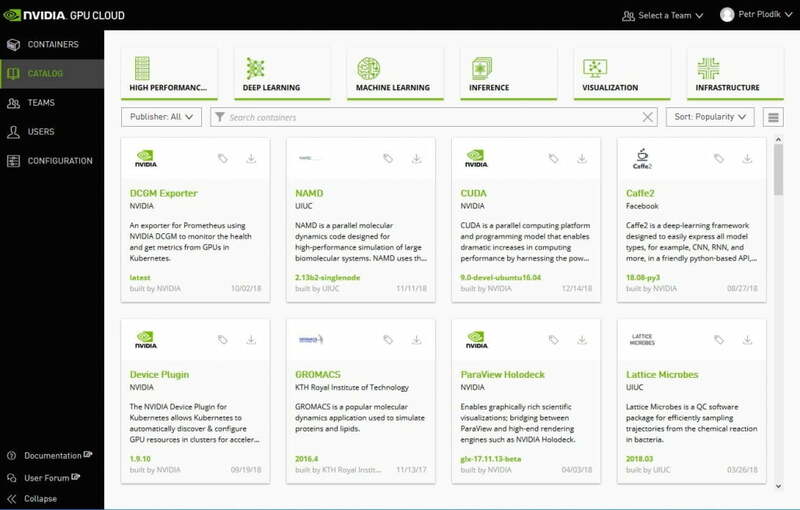 The NVIDIA Deep Learning Institute (DLI) offers both online and hands-on trainings for developers, data scientists, and researchers looking to solve challenging problems with deep learning and accelerated computing. More info. In March 2019, an interesting GPU Technology Conference (GTC) is taking place in San Jose. You will be able to get acquainted with NVIDIA DGX systems and examples of their deployment and listen to the visionary lectures of the most important people in the fields of artificial intelligence and machine learning, including the charismatic CEO of NVIDIA Jensen Huang. NVIDIA offers DGX systems special programs for EDUs or start-up companies and provide special project prices. Thanks to international cooperation with IBM Global Financing, DGX systems provide financing through operating leases. 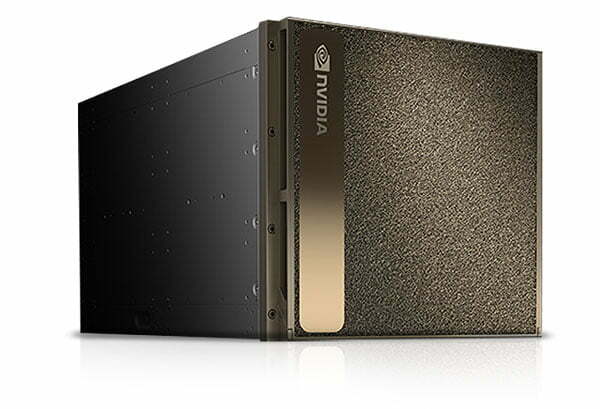 We have the NVIDIA DGX Station available to test performance and especially the speed of deployment of ML and AI applications. Thanks to the NVIDIA Tesla Test Drive program we also have 2 x NVIDIA Tesla V100 for testing. If you are interested in testing, please fill out this form.